Climafresh® is the result of extensive research in nanotechnology. 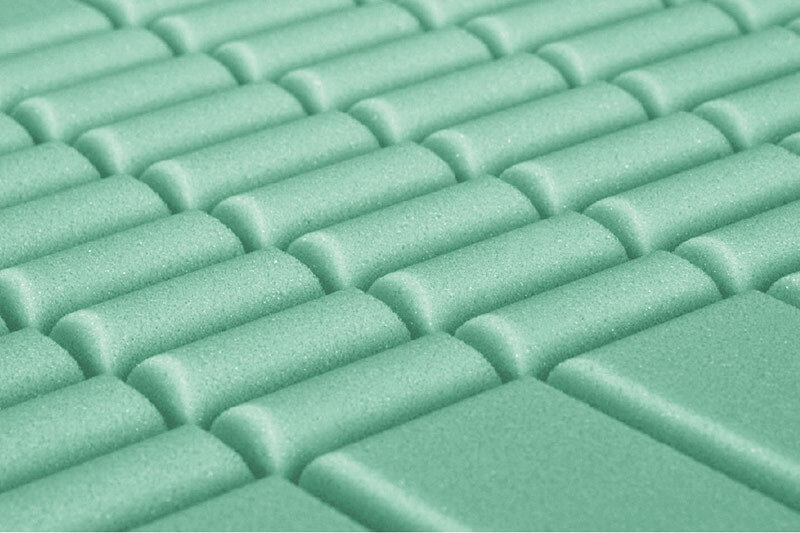 The flexible memory foam is blended with microcapsules called PCM (Phase Change Material), first used by NASA in the aerospace sector, it absorbs the heat from the human body and maintains a constant internal temperature of the material. Silver salts in the material composition render it resistant to bacterial and mold growth. A combination of exibility, breathability and heat transfer control. Avoid the typical heating due to a human presence for a prolonged period. Antibacterial and resistant to mould growth, and capable of maintaining highly hygienic conditions over time.